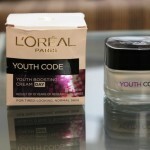 I had been using L’Oreal Youth Code Day and Night cream for quite a while now so I wanted to try out some different product.First I thought of trying Olay Regenerist but then one of my friend recommended me to use the L’Oreal Paris White Perfect Laser All-Round Whitening Day and Night Cream.As I was pretty satisfied with the Youth Code range I decided to try this new launch by L’Oreal.I really like L’O real products,firstly they are not that expensive and secondly quality wise also they are pretty good.So lets start the review of the L’Oreal Paris White Perfect Laser All-Round Whitening Day Cream SPF 19 PA+++ Review. 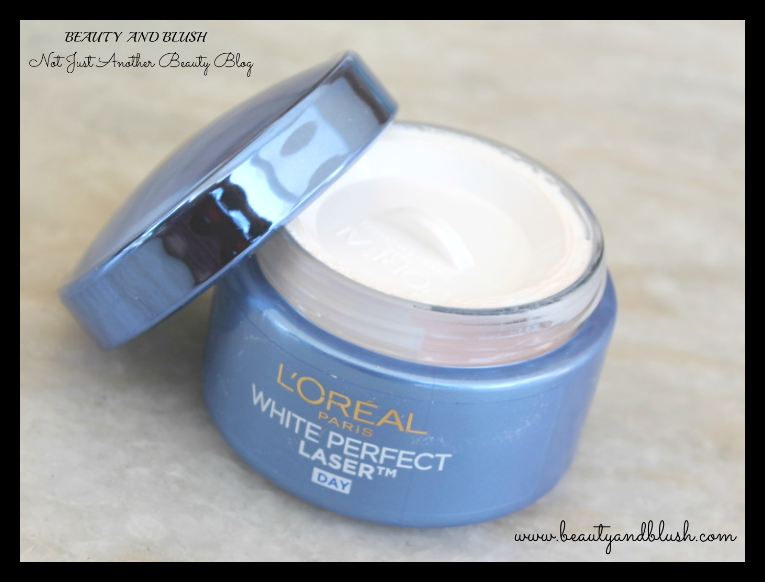 Get incredible whitening radiance and all round protection with L’Oreal Paris latest offering White Perfect Laser Day Cream. It contains a highly effective ingredient complex:PRO-VANISH that neutralizes melanin production at the source and reduces the level of melanin in the skin.Giving you visibly fairer skin. The Full-Spectrum UV Filters System with strengthened protection against UVA/UVB to help prevent spots appearance and skin future darkening. 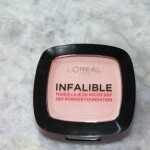 With high performing active ingredients in voluptuous textures,L’Oreal Paris offers a unique sensorial experience and visibly beautifying results. The carton has numerous claims and pretty long and detailed description about the product.I will be adding visible pictures of all the description on the box. I apply this cream daily in the morning on cleansed and toned face and neck.I dab a pea size amount onto my face and neck and then massage it in circular motions. The Day Cream comes in a very nice dark blue coloured cardboard carton packaging with all the details and description about the product on it.The cream comes in a heavy glass round tub with a glossy blue screw lid.There is a white lid inside to protect the product from leakage.I really like glass tub packaging because they are sturdy and they are classy too.I do not like flimsy tube packaging for my creams.I know it is not travel friendly but I do not mind that.You can atleast keep the glass tub to store DIY’s.I keep all my cream tubs and store my DIY lip scrubs,DIY face scrub or DIY body scrubs in them. 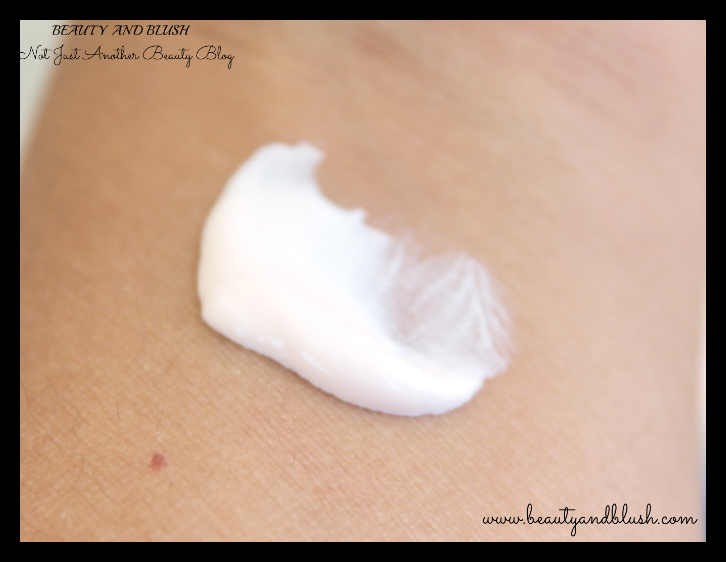 This light pinkish coloured cream is easy to spread and penetrates deep into the skin instantly without feeling sticky or greasy.T he cream is not too oily or heavy in texture so it sinks into my skin giving it a smooth texture. 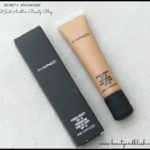 This cream leaves a little bit of whitish cast on my face on application but that fades off in a minute or two.I usually apply this cream,wait for 2-3 minutes to let it get absorbed into my skin and then I apply my sunscreen.This cream has SPF 19 but I think we need a little bit more of SPF during these scorching summers so I apply a sunscreen on top for added protection. 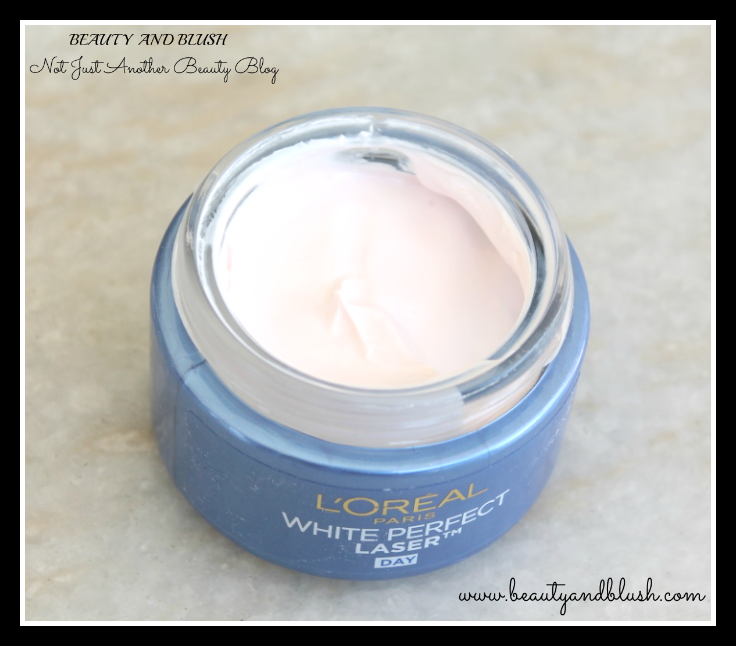 This cream has a very light summery smell to it which is not at all bothersome.The smell subsides off within a minute after application. I have been using this cream for one and a half month now and I believe this is the correct time to review it.I apply this cream every morning after cleansing and toning my face and neck.I dab the cream onto my face and neck and gently massage it all over.This cream is very light in texture,not at all greasy or oily and it has just the right amount of consistency.Immediately after application my skin feels soft and supple.It gets absorbed instantly into the skin.It does not cause any burning sensation or itichness.This cream gives my dry skin just the right amount of moisturization and nourishment. This cream has certainly made my skin very smooth and has evened out my complexion a lot.I have extremely dry skin and this cream covers and nourishes all the dry patches on my skin.I never get that stretchy feeling after I apply this cream,it takes care of my extra dry skin. 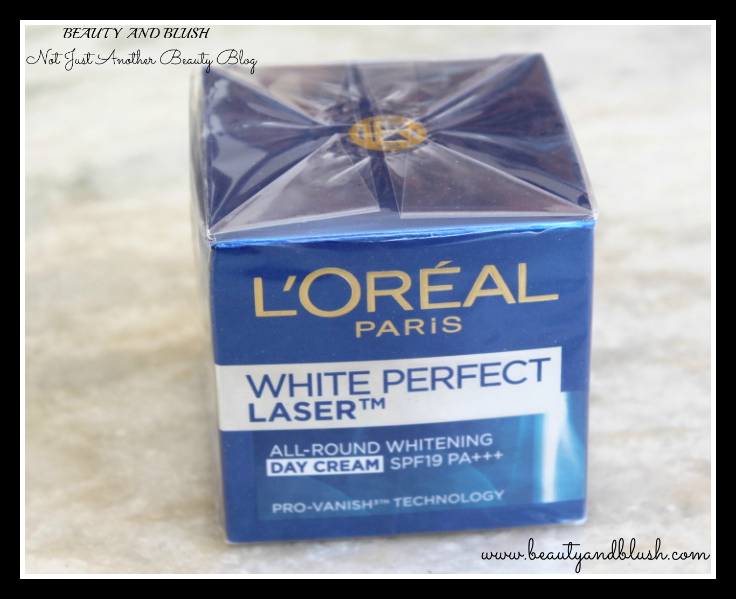 I have been using this cream for the last one and a half month and this one has lived upto all its claims.I am not too sure about the whitening claim because I am fair so I really can’t comment on that part.I personally do not like whitening products because they are loaded with some harmful chemicals but these days our Indian markets are flooded with whitening products and I actually do not know why. 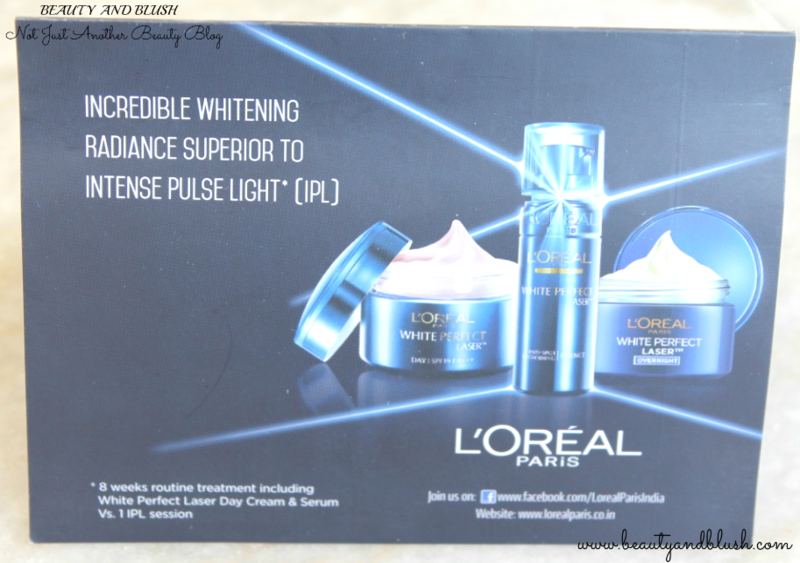 L’Oreal Paris White Perfect Laser Whitening Day Cream has immensely reduced the blemishes and dark spots on my face,it has made my skin tone even,it has definitely made my skin very soft and supple.It provides enough moisturization to my dry skin.I do not have wrinkles but this one really works on lightening the laugh lines I had.All in all a very good day cream which lives upto most of its claims.I love to keep touching my face since my skin has become so very soft since I have been using it.My skin has become much more radiant since I have been using this cream.It has also ligthened the tanning on my face and has given me a brigther complexion. – Not at all greasy. – Lives upto its claims. – Makes my skin soft and smooth. – Evens out the complexion. – Lightens the dark spots and blemishes on my skin. – Glass jar packaging may be a con for some people. 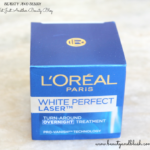 L’Oreal Paris White Perfect Laser Whitening Day Cream? Yes,definitely I would repurchase it. 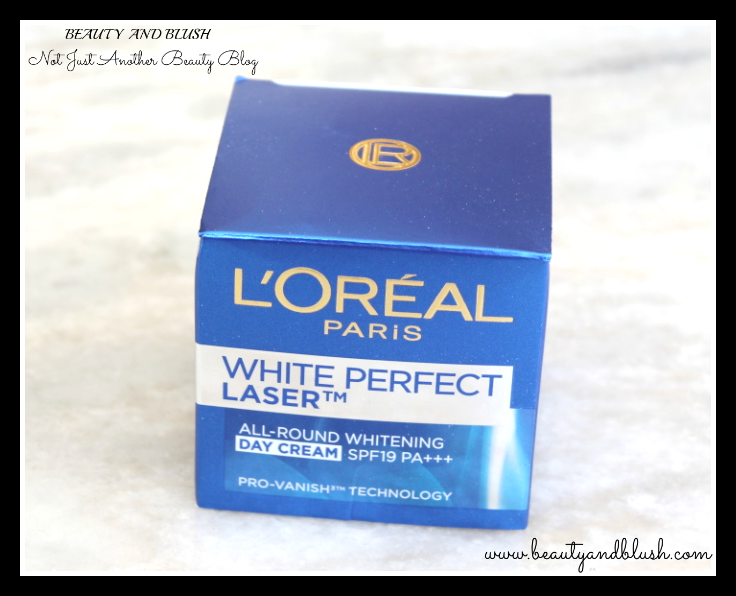 Would I recommend the L’Oreal Paris White Perfect Laser Whitening Day Cream to anyone? Surely I would recommend it to anyone who is in search of day cream.It is really a very good day cream and fulfills all its claims.Do try it out once. I bought this Day cream with the Night cream as well.I have been loving this duo and I feel these two are going to be my go to products. 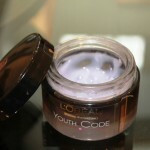 The night cream review will be up on the blog soon so please come back for that review too. Not a fan of the packaging, but otherwise it sounds good. Yeah it is not a great packaging but the product is really effective and worth the price you pay for it. Looks great..but a bit pricey ? Nice review dear. Yeah it is a pretty nice product but it is a bit pricey Himanshi.Thanks dear. Yeah Megha,this cream has shown considerable improvements on my skin.I really like how this cream smoothens out my skin.Definitely a nice product. 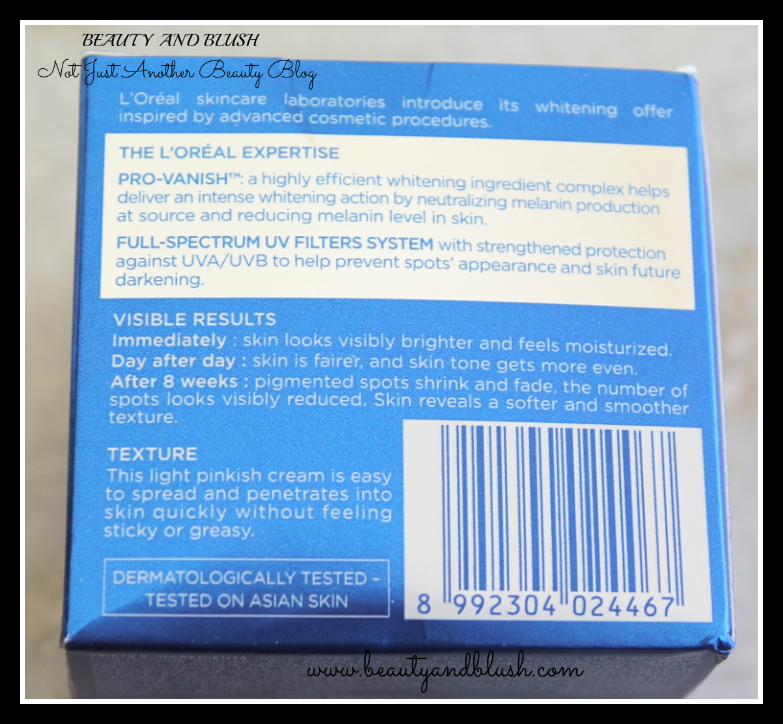 Thanks Anamika.I also love to use light textured creams during summers and this one is really light on the skin,does not heavy at all.Great day cream and it surely does even out my complexion. This sounds like a great buy for those looking for day creams. Great that it lightens blemishes, not all brands fulfill their claims. Vishakha this one is a pretty nice option for anyone who is looking for a light weight day cream.It does ligthen blemishes and it has also evened out my complexion a bit. Looks like a great day cream.Nice review. Thanks Safi.It is definitely a great day cream. This sounds like a great day cream. Though I wish it came with higher SPF. Sangeeta this is a preety nice day cream.Even I wish it came with a higher SPF so that we wouldn’t had to apply a seperate sunscreen for added protection. It sounds like a good moisturizing cream with loads of benefit. 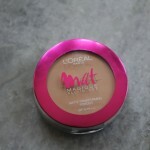 I love L’oreal products, I will try this cream next time in the store. 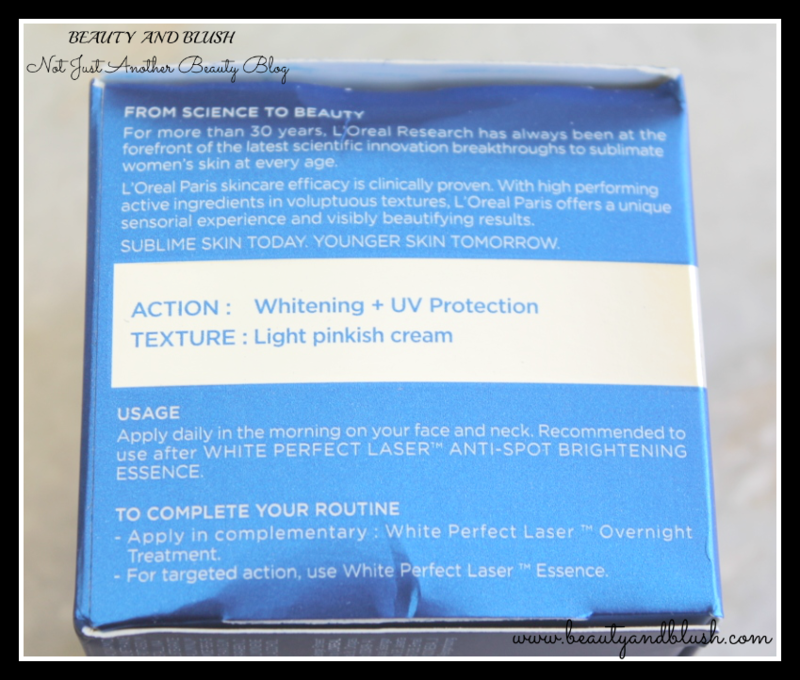 Even I love all L’Oreal products Ramya.Do try out this cream with the night cream and the brightening essense from this range.They work amazingly together. 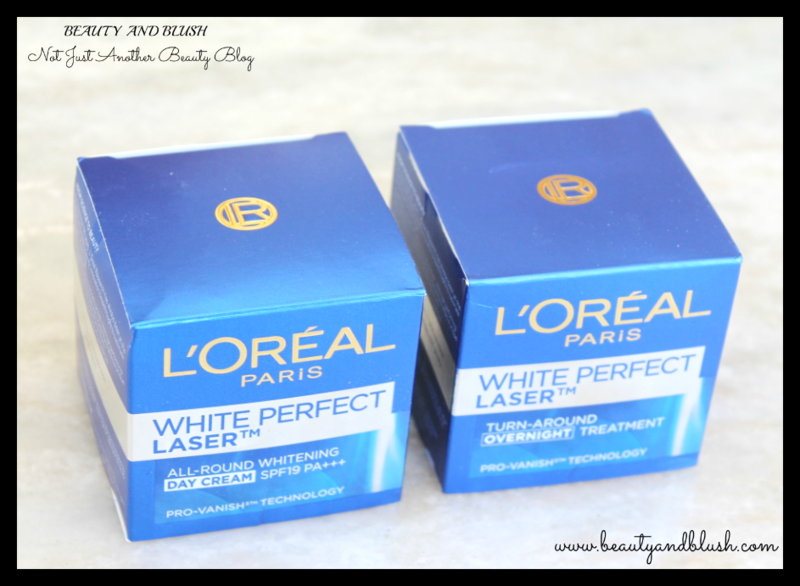 It is really sad Shampita that L’Oreal skincare products have not worked for you.They work brilliantly on my skin though.Thanks. Looks like great day cream…will it work for my combination skin? Anubhuti this is an amazing day cream.One of my friend with combination skin uses this day cream and it works wonders on her skin.Do try it out dear. Do give it a try, it will definitely help.